ISoon I will have published Jenny four times. One of her stories has appeared on the CafeLit web site, in the Best of CafeLit6, in Citizens of Nowhere, and it will be in her forthcoming single author collection. So I'm very pleased to have her here on my blog today. 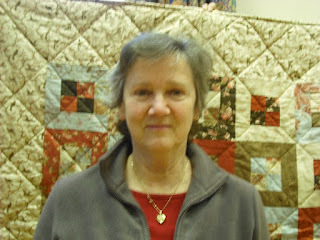 Jenny in front of a quilt she has just completed. I write short stories, local history, memoirs and poetry. Short stories because they further my imagination and help me deal with reality. Some of my stories explore contemporary issues; others delve into the historical past. Local history, because I spent forty years living away from home in London and travelling around the world. When I returned to the North in 2008 to live a stone’s throw away from where I was born, writing helped me settle back into the community and re-connect with my past. In 2014 I wrote and self-published a family history, going back 400 years, called Whipps, Watsons and Bulcocks: a Pendle family history,1560-1960 I have also written two memoirs: Nowhere better than home (2012) which covers my early childhood in rural Lancashire and a sequel called Pastures New (2016) which covers my world travels. All three books are available from the Pendle Heritage Centre, Barrowford at £4.99 or £5.99 each. 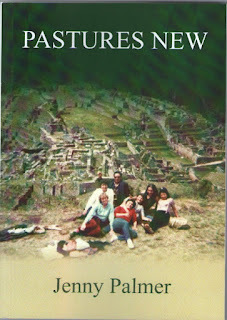 The cover of ‘Pastures New’. 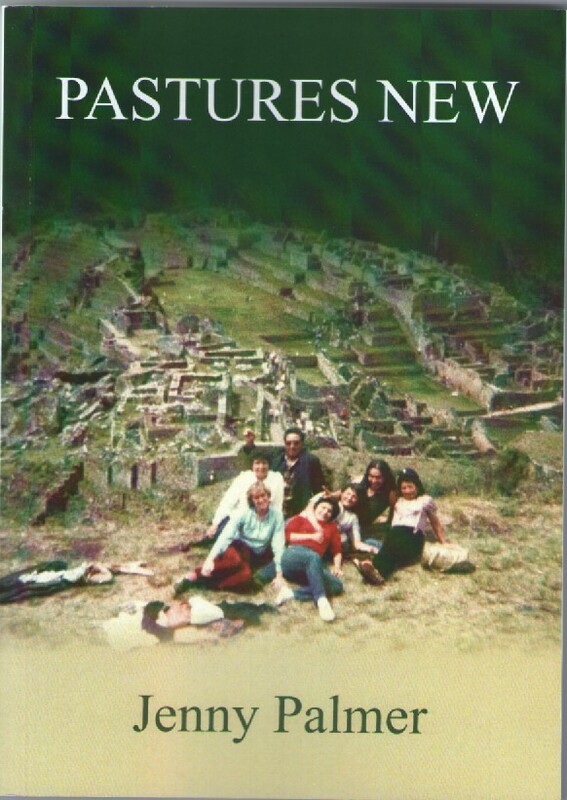 That is me in the middle, at Machu Pichu, 1984. I first got started on writing in 1985, while I was still teaching. I had taken six months unpaid leave and gone off to travel and live in Peru and Bolivia. While I was there, I met and interviewed a group of Bolivian women who were on hunger strike. They were protesting about the rise in prices due to austerity measures introduced by the government at the instigation of the International Monetary Fund. I had previously written articles on the plight of Palestinians after a visit to Israel and had spent many years involved in other people’s political causes. I felt it was time to reflect on my life. often carry on into the afternoon and stop around tea-time. Since I retired, I’ve got into the habit of treating my writing as a day’s work. I’m not rigid about it. I don’t try to force it, if isn’t happening or when life intervenes. Poetry tends to be more spasmodic. I write it when I am in the mood. Now that I’m living back in Lancashire again, I write in my upstairs’ room, which has a glorious view, looking across to the Big End of Pendle Hill. I have dedicated this room to my writing and have all my reference books around me. It also serves as a spare room for visitors. In winter, however, I transfer my laptop downstairs, as the temperature upstairs rarely gets above 13 degrees Centigrade and I don’t fancy working with gloves on. 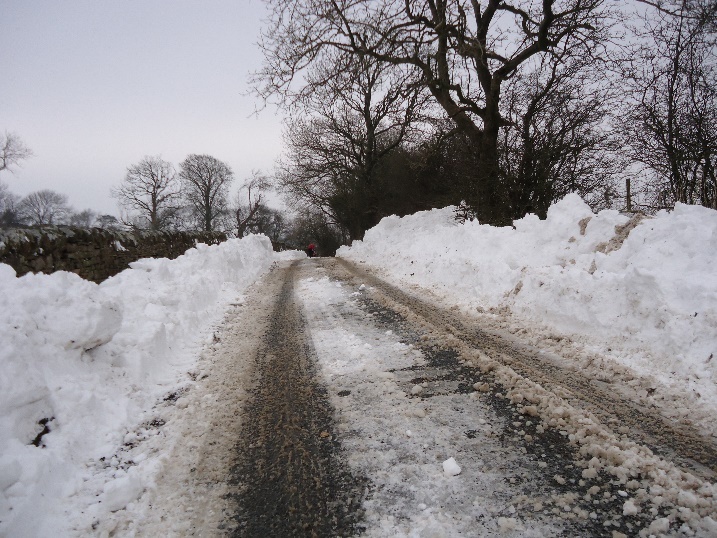 This is a snowscape from Feb 3rd 2018, just after the JCB digger had dug us out. 5. When did you decide to call yourself a writer? Do you do that in fact? Yes, I do call myself a writer. I called myself a writer even before I had published anything, because I write all the time. Initially, I was a teacher and a writer. Now I am just a writer. Having had some of my work published, either by myself or by other publishers, does help to make me feel more confident about my work. 6. How supportive are your friends and family? My friends and family have always been very supportive. I must admit I didn’t publish my two memoirs until after my parents had died. I was worried it might upset them. 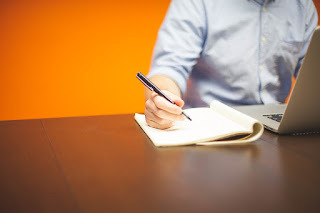 The first thing I did when I started writing in London, was join a couple of writing groups. That really helped me get going. When I moved back to Lancashire, I was glad to discover there were plenty of writing groups. Currently I belong to Clitheroe Writers’ Group and Poetry Stanza. It has been a good way to make friends and I find the feedback invaluable. I am proud of my family history book. It was the one book I had always wanted to write. The research alone took ten years. It has sold well since it was published in 2014 and I still get people from all over the country, and from the United States and Australia, asking me to send them a copy. Our family home was the basis of the Whipp, Watson and Bulcock families, who started out as Quakers back in the seventeenth century. Many people migrated from this area and their descendants like to trace their roots back to it. I am also proud of my short stories, which have been published in various anthologies. I am about to have my own collection published by Bridge House publications, called ‘Keepsake and other stories.’ These are stories I have written over the last thirty years. They deal with both historical and contemporary issues and are set in different locations, rural and urban. The book will be available on Amazon shortly. Having taught English for Academic Purposes in various London universities, I always enjoyed doing research. It was a natural transition for me to do family history research. While I was still living in London, I used to frequent the British Library, The National Archives at Kew, and the Friends’ Meeting House at Euston. I often called in at Lancashire Record Office in Preston on visits home. That was before the Internet got going. Nowadays I do most of the research for my writing online. In the 1990s, I co-edited four anthologies of short stories, published by the Women’s Press and Serpent’s Tail on the theme of Christmas. Four of us in our writing group had turned ourselves into freelance editors. We advertised nationally, received hundreds of stories in the post, which we then selected and edited for each anthology. Editing other people’s stories is different to editing your own. It is always good to have a fresh pair of eyes look at your work. o Do you have any goals for the future? My next project is to publish my own collection of poetry. 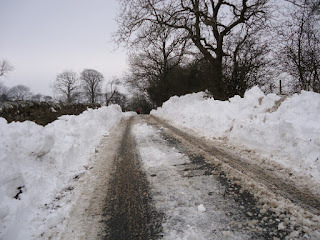 I first started writing poetry about ten years ago, when I came back to Lancashire. The Poetry Stanza group in Clitheroe really helped me get started. Some of my poems have a political edge, for instance ‘The thwarted autodidact’ which is a satirical take on library closures. It was published in the Clitheroe Advertiser and Times. 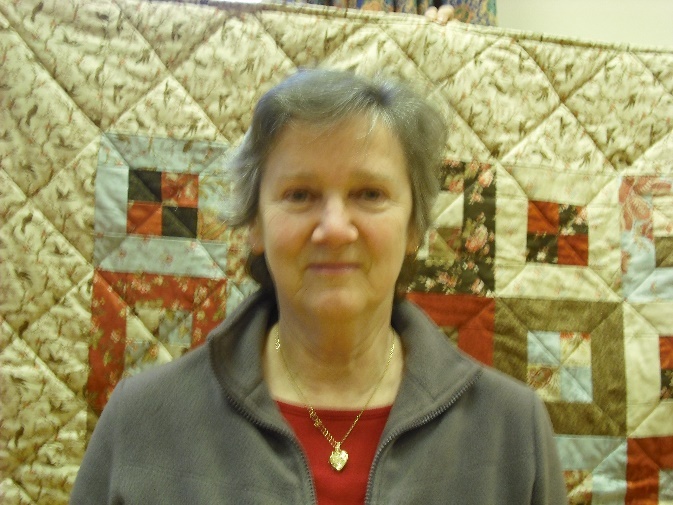 I have had poems published in Northern Life magazine and in various local poetry anthologies and was runner-up in a war poetry competition and in a U3A poetry competition. I read all the time and am a member of the U3A book club. When I was young, I studied French, German and Spanish literature. Kafka’s ‘Metamorphosis’ used to be a favourite and ‘A hundred years of solitude’ by Gabriel Garcia Marquez. When I started writing short stories, I read people like Jean Rhys, William Trevor, Anton Chekhov, Guy de Maupassant. Alice Munro, Raymond Carver, Elizabeth Taylor and loads more. Currently I’m into Sarah Hall. When I started writing my memoir, I read ‘Cider with Rosie’ and ‘As I walked out one Midsummer Morning,’ by Laurie Lee, ’Forties’ child,’ by Tom Wakefield, ‘That’s how it was’ by Maureen Duffy, ‘The Road to Nab End’ by William Woodruff. For my family history book, I attended a three-year, online, distance-learning course at Lancaster University in Local History and was inspired by a book, written by Hilda Kean of Ruskin College, called ‘London Stories,’ which gave me the confidence to write my family history book.